"Hi, my name is Angelina Rodriguez from San Francisco, CA. Before I downloaded the Cure Public Speaking Fear program I use break out in red blotches all over my face and body at just the mere thought of speaking in public. I would use a lot of filler words like um, and uh and my hands would sweat profusely. After a week of practicing your methods my speech anxiety went away. My skin rashes had vanished and I became free from making the same public speaking mistakes. I no longer had feelings of losing control and I began to feel healthier and energetic. Thanks for giving me the results I was looking for! After completing the Cure Public Speaking Fear system I now feel confident with my ability to make a great speech. Thank You!" � � � Your browser does not support the audio tag. "Hi, my name is Jodi Monte from Toms River, N.J. I am a school teacher and I am calling to let you know that Before I experienced the Cure Public Speaking Fear program I was a bit skeptical. I tried many public speaking courses but I must say that your techniques and tips really work! I downloaded The Secrets of Successful Speech Making Instructional video and completed the 24-page Performance Workbook. It was extremely helpful. And I really enjoyed reading and listening to both books as well...pretty incredible bonuses I must say. At first I was terrified to speak in front of a classroom and I was also afraid of back to school night when I would speak in front of parents, but after downloading your 4-step interactive public speaking fear cure system, I am no longer anxious or nervous about my presentations or my lesson plans. In fact, I actually enjoy it! You have great energy, and thanks for coaching me and helping me to overcome my fear of public speaking. After following your step-by-step directions for several consecutive days I have become a fearless school teacher. I cannot thank you enough for your professional counseling service and for the knowledge and expertise you share with fellow stage fright sufferers. I would definitely recommend this system to anyone wanting to increase their confidence and public speaking skills." "Hi, my name is Yuki Samukawa, and I am a Japanese exchange student studying in the United States. First of all, I want to say that you shouldn't miss this great opportunity to improve your public speaking skills. In the University life, it is unavoidable to give a presentation in front of many audiences, and I am the kind of person who hates speaking in front of people. Every time I gave a presentation, I was really nervous, and my hands would shake uncontrollably. When my professor saw my nervousness, she recommended for me to purchase this online presentation skills training course. I downloaded the program immediately with no doubt because I trusted my professor, and I've really wanted to overcome my public speaking fear ever since I was a child. The contents, in my opinion, is easy to understand yet practical and critical. That means that the presentation skills course really focuses on what I can practice on a daily basis, and the sophisticated techniques and information increased my confidence and performance skills." "The part I loved about this public speaking course is that it is divided into various learning sections that include a video, workbook, and several e-books and audiobooks. It really helped my understanding of how to overcome my speaking fear and to be a better presenter. While watching the video, I paused and checked the part I wanted to review within the workbook, then I resumed the video. This method is amazingly effective for understanding in depth." "In addition to the video and e-books, this downloadable speaking courses comes with several audio books. I put the audiobook in my ipod and often listen in my car on the way to school. Thanks to Scott's Cure Public Speaking Fear Program I am now confident that I can have success when giving my speech even though I do not speak English fluently. When these three pieces: daily practice, video learning, and audio learning, come together, you will see the difference and how you have changed. I strongly recommend purchasing this self-help downloadable public speaking program-- it will improve your skills visually, auditory, efficiently and boost your confidence in front of a crowd!" "Hi, my name is Lindsay Walker from Geneva, Switzerland. Before I discovered the Cure Public Speaking Fear program, I would tremble at the thought of speaking in public. After downloading the Cure Public Speaking Fear video and completing the performance workbook, I felt energized and ready to give my speech. The exercises increased my confidence and helped me to relax. I began to see results within just a few short hours and my co-workers noticed a big difference at my next sales meeting where I had to stand up and deliver my speech. 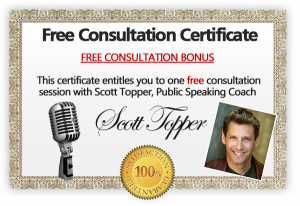 Thanks to Scott's easy going approach, I no longer tremble with stage fright and I feel great. I really learned a lot from the bonus audiobooks too I highly recommend this program to all public speaking fear sufferers. Thanks Scott!" "Hi, my name is Brian Charrette from Santa Barbara, CA. Prior to purchasing and downloading The Secrets of Successful Speech Making Cure Public Speaking Fear system, I was nervous and uncomfortable with conducting interviews and realized that I'd never get a second chance. I emailed Scott Topper about his workbook and completed it in about one hour. I realized how incorporating breathing, relaxing, and visualization into my daily routine can help improve my presentation skills. That also feels good. Shortly after completing his program I had another very important technology interview. This was my final interview, and I sat back and took control of the interview, and put all my fear and butterflies aside. This new skill set is invaluable. I owe it to you and it continues to help me out every day. Thanks Scott!" Fear of Public Speaking has many symptoms that can be overcome by implementing my Cure Public Speaking Fear system. I have experienced many public speaking fear courses that just didn't deliver the results I needed to overcome my stage fright. My program will make you a confident and fearless presenter....guaranteed! I'll guide you every step of the way so that you can successfully achieve your speaking goals. By learning from an experienced public speaking fear coach, you'll be able to quickly and easily make the right mental changes to help you deliver a confident speech. "After implementing Scott's tried and true techniques, I started to come out of my shell within a few short days. I now enjoy shooting from the hip and I feel relaxed…"
"I recently had a very important work speaking engagement and felt that I needed to be less stressed, more focused, and better prepared. I have a busy workload so I purchased, downloaded, and watched "The Secrets of Successful Speech Making" video and completed the performance workbook. Then I read both eBooks and I began to understand what I needed to do to prepare, practice, and perform. After implementing Scott's tried and true techniques, I started to come out of my shell within a few short days. I now enjoy shooting from the hip and I feel relaxed. I enjoy giving presentations and I no longer have any worries or concerns when it comes to public speaking (I hope you like my speaking photo). Thanks Scott! I am now feeling very confident. This system works!" 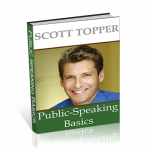 "Scott's interactive public speaking video download, workbook, eBooks, and audiobooks offer a fresh approach to help with fear of public speaking…"
"Scott's interactive public speaking video download, workbook, eBooks and audiobooks offer a fresh approach to help with stage fright. Designed for the first time presenter and written for the freshmen INTRO at the University level, this is a great review of essential public-speaking basics that is entertaining, engaging, informative, and a lot of fun! I personally recommend this program highly!" "My husband and I tried taking a semester of public speaking at our local city college, but it was extremely time consuming. This is the fastest and most effective technique we have ever experienced…and you can't beat the price." "Hi Scott, My husband and I tried taking a semester of public speaking at our local city college, but it was extremely time consuming. This is the fastest and most effective technique we have ever experienced…and you can't beat the price. When we discovered your public speaking system online, it was like an answer to a prayer. We both got a lot out of it. We now have the confidence with your insights and techniques, that we can become better presenters and speakers. We want to thank you again from the bottom of our hearts and you can use this testimonial on your site if you wish." "I am very pleased with the results of your technique. As a lecturer, I give this speaking system my highest recommendation! My freshman students downloaded your video and workbook in preparation for making a presentation. Your program boosted their confidence and clearly demonstrated useful breathing techniques and visualizations to help the students overcome their fear of public speaking..."
"Dear Scott, I am very pleased with the results of your technique. As a lecturer, I give this speaking system my highest recommendation! My freshman students downloaded your video and workbook in preparation for making a presentation. Your program boosted their confidence and clearly demonstrated useful breathing techniques and visualizations to help the students overcome their fear of public speaking. The following week we had rave revues from both students and faculty. I cannot say THANK YOU enough! Why don't more students know about this method?" "As a direct result of applying your public speaking secrets to my daily routine, I have accomplished more measurable results within the last 30 days than ever before! My sales have increased tremendously and I am more comfortable interacting with the audience during my PowerPoint presentations..."
"Hi Scott, as a direct result of applying your public speaking secrets to my daily routine, I have accomplished more measurable results within the last 30 days than ever before! My sales have increased tremendously and I am more comfortable interacting with the audience during my PowerPoint presentations! I highly recommend your workbook, video, and eBooks to anyone who wants to overcome their fear of public speaking. I feel lucky to have found your system. "Thank you for developing a curriculum that would help employees with varying confidence levels and different areas of responsibility by improving their speaking skills…I cannot thank you enough for your counseling service and for the knowledge and expertise you have shared with both myself and my team!" "Dear Scott, your program greatly improved my public speaking technique. I would definitely recommend this system to anyone wanting to strengthen their public speaking skills. After downloading your video and completing your performance workbook, my employees are now more prepared for their presentations to our club members. Thank you for developing a curriculum that would help employees with varying confidence levels and different areas of responsibility by improving their speaking skills. We were excited to share with you how much positive feedback we received from our organization. After following your step-by-step directions for several days in a row, our staff has become fearless presenters. I cannot thank you enough for your counseling service and for the knowledge and expertise you have shared with both myself and my team. I will recommend anyone who is affected by public speaking fear, or if they are a first time presenter, to read your books and experience your methods. "You are such a delight: interesting, charismatic, funny. I love your energy and your service ethic in coaching and helping others through this very critical skill." "Hi Scott, The Secrets of Successful Speech Making Instructional video and the 24-page Performance Workbook Program is perfect for a freshman level or those adults scared to death of public speaking. You are such a delight: interesting, charismatic, funny. I love your energy and your service ethic in coaching and helping others through this very critical skill. Your commitment and your leadership are a real asset to people with fear of public speaking and for first time presenters." "I now feel energized and empowered and I would have never believed there was a solution for my public speaking fear problem. I wish I knew about your method years ago!" 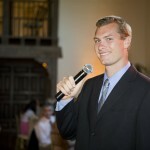 "Dear Scott, before finding your public speaking system my stage fright was a 9 out of 10. I recently purchased and downloaded your workbook, video, and eBooks. I am shy by nature and as a college freshman, have many upcoming reports and presentations that require I stand up and make a speech in front of a classroom of my peers. After watching your video, reading your books, and following your methods, I feel a lot more confident and creative. I now focus on my preparation and delivery with much less anxiety. Your books are very easy to read (even for me – English is not my native language) and the information is easy to apply. I now feel energized and empowered and I would have never believed there was a solution for my public speaking fear problem. I wish I knew about your method years ago! (They never taught us public speaking in school) There are so many hopeless students and people with fear of public speaking. I'm glad I don't have to suffer through that experience…now my stage fright level is maybe a 1, and now it is FUN! "Thanks to your system, I feel so relaxed in front of a crowd and lucky to have found your video and eBooks online. I am also amazed and thankful that your techniques worked so quickly." 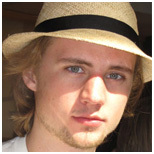 "Dear Scott, I live in Lund, Southern Sweden, and enjoy discovering new cultures and strive to improve my English. I was in search of an English language improvement video download and was thrilled when I discovered your program as it had a workbook to help me with my public speaking. I love being around people, enjoy a good challenge, and welcome competition, so naturally I gravitated to your eBooks. As a track and field athlete for many years, I understand the importance of harmonizing body and mind, being prepared, and being goal oriented, especially when it comes to writing and presenting your speech. For two years I served as a sales person and demonstrator for Lundachark sausage company in Lund, Sweden, and I also worked as a telephone operator for Lund University Hospital. I comprehend the importance of excellent customer service and the value of becoming a better presenter and I would love to see everyone overcome their fear of public speaking. Thanks to your system, I feel so relaxed in front of a crowd and lucky to have found your video and eBooks online. I am also amazed and thankful that your product worked so quickly. "Dear Scott, your video seminar and workbook really helped me to think fast on my feet and trust my instincts on stage. Great books too!" "Dear Scott, your video seminar and workbook really helped me to think fast on my feet and trust my instincts on stage. Great books too! The presentation skills' education was probably the most effective training program I've ever experienced. This week I've been practicing my breathing, visualization, and vocalization warm-up exercises. Quite a noticeable difference and improvement on my public speaking anxiety when it comes time for me to step up to the microphone. Lately I've been speaking and performing in front of big crowds and I am so thankful for finding a stage fright program that works. Your system is extremely useful and practical not only for making a speech, but also serves as an excellent resource for singers and performers alike. I couldn't be more enthusiastic in my support of the accomplishments this training has provided. I wish you all the happiness in the world and thanks so much for helping me. I really appreciate your time and effort assisting me with my fear of public speaking." "I like your positive and enthusiastic approach and I learned a great deal about reaching my potential and how I can improve my performance. Through your system, I have become less fearful of public speaking and I have learned to focus more on myself as a capable and responsible presenter..."
"Hi Scott, I want to extend my sincere thanks for your dedication and service in helping me overcome my fear of public speaking. Your generosity in sharing your expertise and experience in the field of speech making and performance is greatly appreciated. Your secrets and tips are very helpful and I am very impressed with your speaking and presentation abilities. I like your positive and enthusiastic approach and I learned a great deal about reaching my potential and how I can improve my performance. Through your system, I have become less fearful of public speaking and I have learned to focus more on myself as a capable and responsible presenter. I have followed all your suggestions and techniques to the tee and I am glad that I discovered this informative and helpful workbook and video online. It has become an excellent reference. I wish someone had given me this information years ago. Public Speaking Fear is very common among teens and adults. Understanding how to cure the symptoms requires patience, practice, and the desire to succeed. In order to overcome fear and master these techniques, you must discover the Three Undeniable Truths about Public Speaking Fear. Three out of every four individuals suffer from speech anxiety: that’s 75 percent. Just ask your friends, co-workers, and family members. Up to 5 percent of the world population, that’s hundreds of millions of people between the ages of 18 and 54, experience speech phobia in any given year. Most conventional treatments for fear of public speaking only work as a temporary band aid solution, and fail to work in the long run. Even hypnosis therapy, which is considered an alternative treatment, fails to work in the long run simply because the root cause of public speaking anxiety is still ignored. Some public speakers have turned to beta-blockers, nutritional supplement products, or hypnosis therapy to find relief. But I prefer self-help eBooks, like “The Secrets of Successful Speech Making For the First-Time Presenter” and “Public-Speaking Basics,” the best selling self-growth books. Public Speaking Fear effects EVERYONE. It’s a social phobia that is related to self-presentation in front of an audience. Scientists call it sometimes social anxiety disorder. Their medical term is glossophobia; from the Greek words glossa and phobos. Women and men are equally affected. Although there are fear of public speaking statistics that present figures in which more women suffer from speech anxiety related problems. More men than women seek treatment to cure fear of public speaking. In today’s ever changing business world, it is very important for a global exchange of information. Public speaking training courses are very attractive to many foreign students including the Chinese, Japanese, Germans, and the Swedish. Most students today require more robust training to become an outspoken and creative person. In cities such as Hong Kong, Beijing and Shanghai, many parent’s understand the importance of public speaking and are willing to spend money on improving their kids’ English. According to Bain & Company’s research, 70% of China's wealth is held by only 1% of households in the nation, meaning that those who invest in continuing education will generally make more money in the workplace. With Cure Public Speaking Fear being created in the United States, it is marketed outside the country as a foreign brand. In terms of language education, our foreign brand appeals better to those who recognize high quality products through higher education. We reach both schools and individuals seeking to better their public-speaking skills. Students usually focus on what has been taught in class and what has to be tested in exams. We go beyond the classroom and connect with local elementary schools, high schools, colleges, universities, and the corporate workplace. Many schools and universities choose our products as required public-speaking training course materials. We trust that you will respect our intellectual property rights so that we can provide you with the skills and knowledge you’ll need to become a fearless speaker. It is an empowering experience to speak well in public. When you convey your thoughts with conviction to a group of peers it’s not only the audience that changes. It’s you. For many intelligent and informed people, the idea of instructing others is a daunting task. The reason that the Cure Public Speaking Fear System works is that it challenges you to take responsibility for your speaking fear and helps you find the strength to change yourself. Many people will tell you where you can find the solution to your problems, but in the end it must come from within. This program will assist you with the right public speaking tools so that you can gain confidence and ultimately help yourself. Many people find that the most challenging part of public speaking is simply getting up on stage. While that may be difficult, I find that the first challenge is to prepare your body and mind so that you can create a speech on paper that will make you comfortable on stage while addressing the audience. When you create a good speech you will find a respite during even the worst case of nervousness. A compelling speech is one that has the correct balance of information and allegory. Rarely when asked to give a speech will you be expected to be the absolute source of information on all aspects of the topic, nor is the task to overly speak so that the content is lost. Spending time preparing your body, mind, and your speech with a professional and seasoned coach can be of great assistance in this process. Cure Public Speaking Fear. Several surveys show that, of all the things that people fear, public speaking ranks number one. This fear can be socially debilitating at weddings and funerals, office parties, and even small family gatherings. This fear is also a primary reason why many people are unable to advance in their career, since nearly every profession involves substantial public speaking, especially at advanced levels. It's important to remember that even people who regularly present in front of a crowd experience speaking fear symptoms such as sweaty palms and butterflies in the stomach. My course helps you to easily prepare yourself both mentally and physically before tackling your actual speech. The system aims for fearless speaking results and gets rid of the symptoms by focusing on relaxation techniques, breathing, and preparation so that you will become a confident presenter within just a few short weeks. Turn Nervousness to Your Advantage. Chances are, you're reading these words because public speaking makes you uncomfortable, or highly anxious, or even scared. Perhaps you feel something bad will happen when you get in front of an audience. Maybe you're afraid you'll make a mistake, or freeze up and forget what to say, or ramble on aimlessly. Despite the fact that you know more about the topic of your speech than anyone in the audience, you can't think of anything to say that anyone wants to hear. This system will teach you how to take the focus off of yourself and put it on your audience. Prepare Your Mind and Body by Avoiding Supplements and Medications. It's important not to mask your speech anxiety, but to address the cause of your public speaking fear directly. To do so you must be able to transform nervousness into engaging the audience. Success in public speaking is not a matter of chance. Public speakers are not born; they make themselves. Public-speaking skills are not innate in a few rare natural-born talkers. Rather, public-speaking skills are born in all of us, and we can all, like the best public speakers, discover, nurture, and develop our own, unique, natural-born talent. You included! Within just 4 weeks I'll teach you The Secrets of Successful Speech Making that's perfect for the First-Time Presenter. I've experienced public speaking fear and I know how to help you alleviate the symptoms for good and empower you with the right tools so you can feel confident and secure in front of an audience. Solid Guidance and Useful Information are the Keys to Your Fearless Public Speaking Success. It is my personal mission to encourage your courageous public speaking development and empower you to express and create to your valiant potential. I hope that by sharing my insight and support I will inspire you to overcome your fear of public speaking by giving you the REAL tools to attain your public speaking goals. Developing my twelve year Cure Public Speaking Fear System has been a massive undertaking and I could not have done it without your support. My program is exhilarating, inspiring, and dynamic! As we continue to recognize and cure public speaking fear on a global scale, we plan to inspire our worldwide community through continuing education and by sharing the secrets to successful speech making for all first-time presenters. We know there are many training courses on public speaking. For those of you who are keen on self-learning, the most effective way to source the materials is through a trusted and experienced professional. I developed my system in 1999 to give you the tools and knowledge you need to overcome your fear of public speaking and become a fearless presenter. My program offers a fresh approach to cure public speaking fear. For almost two decades I’ve been involved in the entertainment and public-speaking industry as a TV show host, author, radio host, and member of Screen Actors Guild and American Federation of Television and Radio Artists. As a child I was extremely shy and intimidated. My father was a professional well-known photographer. Every time my Dad would try to take my picture, I would storm off into a corner and start to cry. In Junior High School my fight or flight impulse symptoms appeared and I would run out the door if anyone even mentioned I had to give a speech in school. According to scientific studies of speech phobia statistics, social phobias often start with shyness in childhood or early adolescence, and progresses during adolescence. As a teen I began to realize that I had to cope with my public speaking fear symptoms in order to succeed in business and in life. I knew I had to find help and I searched high and low with no resolve. When I went to college for Theatre Arts and Broadcast Journalism, I began to fit the pieces of the missing public speaking fear puzzle together. My recent college and university lecture series tour in Hong Kong solidified my global understanding as to how important it is to internationally educate and help others who suffer from the same public speaking fear as I had once experienced. Conquering my fear of public speaking became my passion. I knew I wanted a career in show business and realized how important it was to rid myself from public speaking fear symptoms. I searched for the cure and attended classes in New York City and Hollywood, CA on acting, public speaking, theatre arts, social disorders, proper eating and food choices, visualizations, body harmony, improvisation, detoxifying cures, and even solid foundations of a healthy lifestyle. Soon I was on a mission. For several years I lived on the road touring with "American Top-40" radio show. It was an annual 25 city United States Tour. I would speak directly to hundreds of performers and singers making notes as to what helped them to become successful with their presentations. Everyone had a different level of performance anxiety based on their own comfort levels. I knew that I would find a solution to my public speaking fear by researching and analyzing the way people reacted to their own fear. What fascinated me the most was the way people prepared for a speech or a performance. All the work that took place BEFORE they ever took to a stage really made a difference as to how successful and secure they would FEEL on stage. There are many ways to treat public speaking fear and anxiety. Unfortunately for me nothing I read and nothing I tried did the trick. I didn't want to be in a daze due to drugs or feel nauseous or light-headed. I was looking for a permanent cure to my problem, not a quick or temporary band-aid just to help me get by when I had to speak in front of a group. I didn't want to be one of those people who selected college classes as to avoid public speaking...in the workplace I was afraid I would be overlooked for special projects and even promotions that required that I speak. I knew I wanted to be in a profession that actually relied on public speaking to advance my career. What a dilemma, or so I thought. It was up to me to make up my mind to make the mental switch. To not rely on external masks or blocks, but rather, turn inward and begin to confront my public speaking fear with a different approach. I realized that people stick to their old ways because they are AFRAID to try something new. The idea of learning new techniques to manage speaking fear anxiety can be a daunting concept. The fear is usually caused when more than one activity is happening at one particular time. By curing anxiety without medications or hypnosis a different treatment strategy MUST be implemented toexperience immediate results. Thus, my metamorphosis from student to teacher began and I was able to develop my program based on my lifelong public speaking research and knowledge. I knew I needed to develop specific self help strategies that included mental training, breathing techniques, and physical warm-up exercises to reduce stress and public speaking anxiety. My fear was debilitating as it started when I was young and stayed with me through adolescence. My desire to succeed has led me to be the man I am today. I realized that the audience wanted me to succeed. I understand that EVERYONE gets nervous, and that your symptoms will fade away with practice and time. No longer was I going to be the teen or young man in the back of the room, too shy to speak up. I know that public speaking is a learned skill, which the best public speakers must learn and practice and improve to become a fearless speaking success story! For more than a decade I wanted to create a personal development and educational public speaking fear cure training program that really worked! I lectured and toured on the academic circuit visiting universities and colleges within the United States and around the world. I discovered that I must not only teach the students WHAT they needed to know to overcome their speaking fear, but more importantly, SHOW them HOW to cure speaking fear quickly by properly using my tools and techniques. The results were truly amazing! The students processed the new information and developed successful fearless speaking habits. Students MUST get up in front of a class and give several presentations EVERY semester in order to graduate. No excuses. They also needed a mentor for public speaking leadership and didn't have a lot of time to get over their fear. They needed a proven, sure-fire method to cure public speaking fear. On every occasion that I gave my Cure Public Speaking Fear presentation, I began to realize that students were overcoming their fear of public speaking quicker and gaining more confidence. When I entered the business world, it was amazing to discover that my program was equally as effective in coaching and helping others through this very critical skill. The system is designed for the first time presenter and written for anyone with fear of public speaking. It is a great review of essential public-speaking basics that is educational, entertaining, engaging, enlightening, informative, and a lot of fun! This program will increase your confidence and creativity by further developing your fearless public speaking technique. "The Secrets of Successful Speech Making" Instructional Video and the 24-page Performance Workbook Program is also perfect for a freshman level or those adults scared to death of public speaking. You will greatly benefit from my public speaking, improvisation, and acting experience, as I will personally walk you through the basics of public speaking with my interactive Cure Public Speaking Fear System. You’ll discover the step-by-step secrets to improve your public speaking skills and finally conquer your fear. "Your eBook Public-Speaking Basics, and video download really helped me to become a much better speaker. I use to have butterflies in my stomach before I gave a consulting presentation, but thanks to you the nervousness is gone!" "Hi Scott, your eBook Public-Speaking Basics, and video download really helped me to become a much better speaker. I use to have butterflies in my stomach before I gave a consulting presentation, but thanks to you, the nervousness is gone! The tips are useful and it's an easy read. The information gave me insight as to how to make my speech persuasive and with impact. I have purchased several stage fright eBooks, and social phobia treatments, including Dale Carnegie training to subside my fear symptoms. While it worked initially, eventually my fear of public speaking became worse and I had challenges with my presentations. The same goes for the medication I took with the advice of my doctor. I felt foggy. After doing some research online, I self-diagnosed my stage fright, purchased, and downloaded your program. The results were almost instantaneous. In less than 3 hours, I felt a tremendous relief. Two weeks later I became completely anxiety free from the sweating, trembling, and stammering. Using your methods, I have kept my stage fright at bay ever since. No more hypnosis or medications for me. Thank you so much for the confidence booster!" 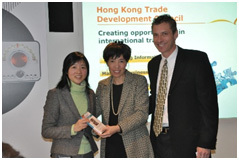 "I needed to increase my public speaking confidence and deliver a speech without fear. After watching your video and completing your home study program, I was able to relax, focus, and believe in my public speaking abilities." "Dear Scott, I am a competitive cyclist and owner of a local bike shop. While I'm great with fixing things, my people skills are not so wonderful. I was recently asked to make a speech on cycling and the idea of standing in front of an audience made my knees shake and my hands sweat. Sounds ridiculous I know. I needed to increase my public speaking confidence and deliver a speech without fear. After watching your video and completing your home study program, I was able to relax, focus, and believe in my public speaking abilities. I applied your techniques and practiced my speech until my stage fright had vanished…and it happened within two weeks. Don't get me wrong, speaking to crowds is still a bit daunting for the first minute or so, but then I remember what you taught me…I visualize, and control my butterflies. With your help I can honestly say that your program is the most effective way to overcome fear and anxiety of public speaking. Thanks again Scott!" "Your system taught me how to remain focused, calm, relaxed, yet energized and engaging to an audience. Not an easy task. I am so thankful I came across your website when surfing the internet." Most people get nervous before they give a speech and often find themselves thinking of all the worst things that can happen. Sometimes they get psyched out if they see a particular person in the audience due to lack of self-confidence. Speech mistakes may take you off-balance and give you trouble re-centering. Sometimes people have trouble raising their energy up for a performance… or bringing their energy down to a manageable level. Others overly criticize themselves or expect failure. Some people are perfectionists and can’t relax when giving a speech. When going on a very important job interview or preparing for a big speech that may lead to a promotion, often, the stakes are very high. You are tense and nervous because you are concerned with the outcome or result, which of course, means a better quality of life, more money, and a more successful life. The subtle mental switch must be made from the feeling of needing to do well or you will fail miserably to the desire to want to have fun while delivering your speech. We place enormous pressure on ourselves when we are attached to the results or outcome of our speech making. When we are stressed we are unable to be ourselves, smiling, grounded, centered. Instead we become nervous, anxious, and tense because our speech must be PERFECT or we will FAIL in life and business. I am not saying to become completely detached from the outcome of your speech, but rather, to remain in the moment of your speech by focusing your energy on the spoken word and the emotion behind your words.Visualizations are very important and I encourage you to practice the correct visualizations and breathing exercises we endorse on a daily basis. Many people search the internet to find solutions to their speech fear. Some of the ways individuals overcome their fear of public speaking are with medications, tranquillizers, and beta blockers. Some cope with public speaking fear by drinking alcohol. These are poor choices. It is imperative to be present during your speech. Your message with emotion is important and needs to be communicated clearly to the audience. If you are looking for an effective and successful approach to overcome your fear of public speaking, then I’d suggest you keep reading the information on this website and take heart to our testimonials. The most direct way to resolve your public speaking fear is to address the cause. Everyone wants to find a miracle pill to solve their problems. Instead, roll up your sleeves, step away from the drugs, stick with us and learn the proven techniques and skills you need to become a fearless public speaker. I offer a drug-free cure to resolve your public speaking fear so that you can deliver a great speech worry-free. The Cure Public Speaking Fear program will give you practical solutions for the problems associated with fear of public speaking. My original approach will enable you to enjoy public speaking with confidence and help you to cure your public speaking fear. No one likes the idea of taking drugs to overcome obstacles in life, especially when a drug-free cure exists. Our program focuses on curing public speaking fear in a healthy, natural way without the use of drugs. Conquering your fear of giving a speech begins off stage. The feeling of fear is no different than when you are afraid of heights, snakes, or ghosts. Whether logical or illogical the same message is sent to your brain, causing the same reaction in the body. So, by working on conquering other fears in your life you will also be training yourself to control your fears in other situations. Once you are used to not only feeling fear but overcoming it as well, you will be free from the trapping affect that it has on you. Phobias are one of the few psychological ailments that can be lessened by forcing oneself to be confronted with it repeatedly in safe environments. Conquering the fear of public speaking majorly is a struggle of the mind, and is truly “all in your head”. Much like rock climbing, though a much more physically dangerous and demanding undertaking, overcoming your fear of falling is extremely satisfying, and the only way to achieve it is to trust yourself, and your equipment. The climber’s rope is the practice and rehearsal that you’ve put into your speech, as well as is the information that you have collected to deliver. Trust that you will be able to fall back on them, and that when you need it, it will always be there for you without fail. When you are comfortable with what you’ve written then you are more likely to be yourself and forget about the dangers you face, which leaves you free to reach the summit. The source of anxiety for many people who need to give pubic addresses is the fear of making a mistake. We have an irrational belief that we must be flawless in order to succeed, and what is interesting is that we are the only ones to hold ourselves to that level of perfection. When anyone else other than ourselves gets stage or gives a performance, we have the highest level of understanding for their nervousness and would not judge them for making a mistake. Within the Cure Public Speaking Fear program, one of the top presentation skills training courses, students learn about how they can communicate their messages more effectively through organization and practice. However, another factor to think about that plays a large role in someone’s speaking skill is the harmony between body and mind. This is an essential part of the best presentation skills courses and should not be overlooked. It’s important to apply your physicality to improve your speech. Use daily physical fitness as part of your preparation. Staying fit can improve your muscle tone, confidence, and ability to concentrate. It’s also paramount to your success to learn how to breathe. A great speaking skill is learning how to breathe from the diaphragm, rather than from the upper part of the chest. This will improve vocal tone and pitch, while at the same time giving you more oxygen to boost brain power. You will learn these great exercises in the program. Make use of visualization techniques. Within the Cure Public Speaking Fear program you will learn how to start mentally visualizing your speech going well. If you are afraid of public speaking, this is an extremely valuable skill to learn. Practice facial exercises. Similar to singing exercises, if you stretch your face before you practice speaking, this speaking skill will help you warm up. Use your full vocal range. Rather than rushing your speech or speaking in a monotone, as many people tend to do when they are nervous, it can be helpful to draw deep within your belly for more powerful vocal capabilities. Within the Cure Public Speaking Fear program, you will practice maintaining a positive attitude through smiling. Studies show that if you smile, even if you don’t mean it at first, this will improve your overall outlook. That is important to remember if you are feeling tense during a public speech. Be aware of your growing sense of confidence. As you progress with your personal journey to improve your speaking skill, take pride in how much you have progressed. Go to a relaxed place before your speech. A good speaking skill is to know a quick relaxation method that you can engage in just prior to your speech. The Cure Public Speaking Fear program utilizes meditation techniques. Breathe deeply, close your eyes, and spend at least 30 minutes not thinking about your speech before you are due to go up in front of people. Reward yourself when the presentation is over. No matter how you prefer to unwind, take some time after the speech to go over what you have just accomplished and give yourself a treat. This will help bridge the gap between body and mind when speaking or giving presentations. Effective speaking skills can help make all the difference in personal confidence, assisting even those with a serious phobia of public speaking to overcome their fears. Inside this not available in stores Digital Downloadable instructional video course and PDF Performance Workbook, you’ll discover the gentle and successive secrets to cure your speaking fear. “Cure Public Speaking Fear Program” teaches you the speaking tools you need to make a fearless successful speech. We know you’ll find our exclusive “Interactive Speaking Series” Digital Download and PDF Performance Workbook helpful in achieving your goal of becoming a fearless presenter. “The Secrets of Successful Speech Making: Overcome Your Fear of Public Speaking” has been specifically designed to help you overcome your fear of public speaking. Our 60+ minute Digital Download are accompanied by a detailed PDF instructional booklet, filled with step-by-step exercises, examples, illustrations, and practical tips to help hone your skills and gain the proficiency of a seasoned professional. Start putting the valuable information inside this video and workbook to use by improving your life and begin overcoming your fear of public speaking today! If you are looking for results to your public speaking challenges, than you have found the right program to sharpen your skills and improve your performance and confidence. A professional does not leave anything to chance before an important performance, or critical presentation to corporate executives. Strategies are laid out, all materials are ready, contingency plans made. When you are well prepared, you feel more relaxed and sure of yourself. Let’s face facts, EVERYONE at one point in their lives will be called upon to make a speech. It could be your fifteen minutes of fame! Convert your living room or your business conference room into a successful and private training space. Our Cure Public Speaking Fear System, complete with eBooks and downloadable audio books are both affordable and world-class. If you are in search of English language improvement videos or online public speaking fear cure information, you’ve come to the right website. If you are seeking results for your public speaking challenges we are here to help! Eventually EVERYONE at one point in their lives will be called upon to make a speech. Cure Public Speaking Fear is an “Out of the Box” approach toward improving your public speaking skills so you can be a fearless presenter, keynote speaker or performer.We can help you to give a wedding toast or introduce a new company initiative to a group of people stress-free. If you are tired of being told you “seem a little uptight” or “a bit too stiff” and your goal is to decrease your fear of public speaking, than our inspirational video and performance workbook is for you! With this system you’ll discover that public speaking can be fun and easy. The program offers a fresh approach to public-speaking. It is designed for the first time presenter and written for the freshmen INTRO at the University level. This is a great review of essential public-speaking basics that is entertaining, engaging, informative, and a lot of fun! With your renewed confidence you will enjoy your personal life, build better business relationships, and see that the glass really is half full! Cure Public Speaking Fear System keeps you in the moment and stimulates your creativity. Great for teachers, CEO’s, musicians, administrators, government officials, educational lecturers, small business owners, students, managers, sales reps, and anyone who trembles at the thought of speaking in public. With our theatrical approach towards utilizing improvisation, visualization, body movement, and stage technique you’ll become a fearless presenter. We know there are many training courses on public speaking. For those of you who are keen on self-learning, the most effective way to source the materials is by experiencing our remarkable program. Developed in 1999, Cure Public Speaking Fear System will give you the tools and knowledge you need to overcome your fear of public speaking and become a confident presenter. We realize that fear of public speaking is the number one fear among adults. Sharpen your skills, increase your confidence, and improve your performance. I have over two decades of public speaking, improvisation, and acting experience and will personally walk you through the basics of public speaking with my interactive Cure Public Speaking Fear System. I will gradually guide you through the fundamentals of effective, fearless presentations. You will explore improvisation, warm-up exercises, visualization, vocalization, body movement, and stage technique while learning how to develop your most effective delivery style. Each topic is clearly explained and demonstrated during The Cure Public Speaking Fear program and accompanied with a Workbook complete with suggested exercises, practice tips, checklists, and room for recording your own notes. This course as a combination of Basic Theatre 101 and Introduction to Improvisation, reducing your speaking fear by focusing primarily on preparation and delivery of a speech. Our aim is to quickly boost your confidence and stimulate your creativity. We want to help you learn to deal with your fear directly, by empowering you with the right tools so you can feel secure in front of an audience. You’re on the right track! By signing up to the Cure Public Speaking Fear System today, you'll also receive all the constant program updates for the rest of your life that's valued no less than $388.00 (Bonuses free of charge listed below) AND Individual Fearless Public Speaking Coaching and Support through email at no additional cost for up to three months! You’ll discover the step-by-step secrets to improve your public speaking skills. Our goal is to increase your confidence and creativity by further developing your public speaking technique. The Cure Public Speaking Fear System technique is highly effective for many people, professions, occasions, and events. Our course is simple to comprehend, straight-forward, clear, uncomplicated, and highly-effective. The # 1 Personal Development & Educational Fearless Public Speaking Training Program on the Market. The importance of harmonizing your body and mind with exercises designed to increase your confidence and improve your performance. Common speaking challenges of “What Not To Do” in order to become a much more effective speaker. Common speaking reminders of “What To Do” for your speaking engagement. How to develop your most effective delivery style and change your life. Helps you to discover the true colors of your unique presentation style. Public Speaking tools and methods that work quickly to cure your fear and overcome speaking challenges. How to keep your presentation alive by connecting with the audience and by remaining positive and confident. Your goal is to make sure your message is received and understood. This is crucial to your success and yet so many speakers fail to address this critical issue! The importance of incorporating physical fitness as part of your daily pre-performance practice. Physical exercises for relieving public speaking anxiety. How to calm yourself with slow, deep breathing before and during your talk. Step-by-step fundamentals of effective powerful presentations. Relaxing visualization techniques so you can focus on successful speech making. This growing sense of confidence can dramatically speed up the healing process and banish public speaking fear. The Importance of Vocalization to help you achieve a natural and comfortable tonality using your chest voice, not your head voice. Lots of Easy Speech Writing Exercises Designed to Build Confidence and Overcome Fear. Body warm up exercises that take a few minutes to learn that make an INCREDIBLE Impact on HOW CALM you FEEL when you deliver your speech. No matter what type of speech you are about to deliver, preparation is paramount to your success! The more you connect with people in the audience, the less you will focus on your fear! Find your personal pre-speech theme song, one with an emotional trigger of empowerment that will keep you relaxed, yet energized. How to refocus your energy and have a strong voice by thinking and acting confident. The essential basics you must know to write and present a compelling speech. The importance of Organizing and Arranging your Speech with a clear goal in mind. Develop professional speaking skills by analyzing the audience and your purpose for speaking. Making Your Speech Fun so you can Feel the Connection between You and the Audience. Understanding your body's reaction to public speaking fear such as the fight-or-flight mechanism. Identifying your target audience and keeping their attention with solid technique. Why personal development and educational training is important to overcome stage fright. How to have passion for your subject and remain focused during your speech. The importance of public speaking so that you can accept a job promotion, make more money and feel confident. The many approaches to organizing your presentation that often works well for beginning speakers. How to communicate your message clearly at meetings and presentations by having a strong introduction, main body of your talk, and conclusion. First, you’ll need to determine your main idea, then decide what you want your audience to discover from your speech while having a clear goal in mind. How to Change Self-Sabotaging Beliefs in your Mind and Become an Excellent Self-Assured Speaker. How to speak to an audience by SHOWING them YOUR message with your enthusiasm and body language TO MOTIVATE. The most exclusive fearless public speaking method that combines practical and useful techniques from Basic Theatre 101 and Introduction to Improvisation. Learn effective communication skills by developing confidence in your abilities. How to make your stage fright work for you and not against you. To deal with your public speaking fear directly, by empowering you with the right proven tools so you can feel secure in front of an audience. How to Speak with Energy so that the Audience Feels Involved so that they Don't Fall Asleep or Daydream During your Speech. The Excitement Of Learning How To Give A Confident, Fearless Speech, That Will Inspire An Audience So That You Can Make A Difference In Their Lives. If you are searching for a simple, comprehensive solution for your public-speaking challenges, then the Cure Public Speaking Fear Program is the RIGHT choice! This is a results driven system developed in 1999, based on real world experience that will create a positive change by directly addressing your fear of public speaking. The information is extremely helpful and easy to learn and will make a HUGE difference as to the success of achieving your goal as a fearless public speaker. These are practical tools and techniques you can practice every day. I will show you exactly what to do to with my turn-key approach toward addressing speech anxiety and proper presentation style. You'll experience real coaching examples and exercises and learn strategies that will help you to resolve your public speaking challenges quickly and effectively. As you can see, yes, you can overcome your Fear of Public Speaking. If you are searching for the secrets of successful speech making then you have find the right solution. The information contained within the Cure Public Speaking Fear system will help you to become a better presenter. It's up to you to take control of your public speaking destiny. The techniques that you will learn with the Cure Public Speaking Fear program will increase your confidence and improve your personal public speaking abilities. It's important to remain positive and remember...change is the only constant, and that new and exciting opportunities await once you decide to banish your public speaking fear forever. "My heart no longer thumps loudly in my chest and my head no longer feels like it is on fire. Thanks to you I have come a long way. I am so thankful and grateful to you for showing me the light." 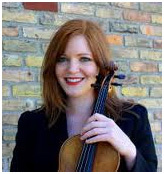 "Hi Scott, as a violinist and instructor it is very important for me to relax before a concert and before I lecture in front of my students. Prior to discovering your wonderful program, I suffered from debilitating onstage jitters. My hands would become cold, wet, and clammy and it was difficult to focus and concentrate. After I watched your video and downloaded the workbook and read your books, I began to feel like a normal person on stage and in general. My heart no longer thumps loudly in my chest and my head no longer feels like it is on fire. Thanks to you I have come a long way. I am so thankful and grateful to you for showing me the light. 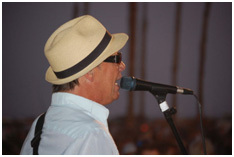 I hope other stage fright sufferers can feel as good as me when performing. You are incredibly knowledgeable and experienced in the field of communication and it's great to know who to turn to for advice on fear of public speaking. A million thanks for your support!" "I can tell that you truly want to help and that you really know your stuff. Thanks for sharing your expertise and credibility…"
"Scott, I'm sure you've heard this many times but I found your instructional video to be very useful and the tools that you taught me I can apply in many different public speaking situations. I can tell that you truly want to help and that you really know your stuff. Thanks for sharing your expertise and credibility…there was a lot of information to learn in the one hour video so I have been playing it several times as I work through the performance workbook. I really enjoy the audio books as well! Your program is a must-have for people who want to become better speech makers and who suffer from stage fright. Thanks for your insight, dedication and energy. This information is priceless and truly changed my life! "Presenting at work was a daunting task. I thought I was going to have to quit my job because I didn't know what to do…then, I studied your methods. Wow, what an eye-opener. You have great insight as to the necessary steps to overcome fear of public speaking." "I just wanted to share my excitement on the results of your program. I've always had stage fright since I was a child. I thought I'd grow out of it but when it came time for me to get a promotion at work, the boss wanted me to present my engineering knowledge to several different groups of people. I was terrified. I went to the library, called my friends, then got lucky and found your life-saving program in the internet. Presenting at work was a daunting task. I thought I was going to have to quit my job because I didn't know what to do…then, I studied your methods. Wow, what an eye-opener. You have great insight as to the necessary steps to overcome fear of public speaking. I didn't realize the skills I needed to learn could be this easy and fun. Scott thanks for taking me step-by-step through the public speaking process…especially since I am new at speech making. Within days I found myself preparing, practicing, and performing. The video exudes optimism and enthusiasm and it's easy to understand. I have a great deal of respect for your abilities and commitment to your craft. No wonder you have such a proven track record of success. Thanks again for taking the extra step to ensure a successful outcome!" A little shot of adrenaline before an appearance is normal and lets you know that you are alive and that you care about the information you are sharing with your audience. It’s important to know where you are such as in the office or on a stage, and who you are such as a very kind, intelligent, information sharing person. Once you answer these two fear related questions you can begin tounlock your attachments to the physicality that relates to the fear such as anxiety, physical weakness, shortness of breath, shaking hands, etc. Our bodies are amazing. Our body tells us when things are right and when things are wrong. Our brain can create both secure and insecure feelings in an instant. We don’t want to look like a fool when making a speech so we physically start to shake to remind ourselves of the attachment to the fear. Often new environments create stress and anxiety. Within the performance workbook we cover how to present your speech and provide an audio and video checklist so you can arrive early, check out the equipment, walk the room or stage, and give a confident, compelling speech. Of course, you want to practice, rehearse, and present your speech when you feel ready. Like anything else in life, the more your practice, the better you will become at making a speech. A lot of stage fright comes from early childhood fears of inadequacy. Maybe when you were younger you were given negative suggestions that made you feel worthless, rejected, and insecure. As an adult we sometimes carry that negative emotional baggage with us to the workplace. We all want more money, a bigger house, a better promotion. To achieve success in life and work you will be asked to make a speech. It’s important to overcome your fear of public speaking by calling upon your imagination to envision a successful speech as your desired result. In the Cure Public Speaking Fear program we discuss the importance of visualization and actually seeing, in your mind’s eye, a successful YOU on stage delivering a persuasive speech. Follow our model and you are guaranteed to become more confident and more successful. Try to keep your ego in check when making a speech. Don’t focus on whether or not the audience liked YOU, but rather, ask yourself if you were able to help them resolve their challenges. Get to know your audience and find out why they are there and what they came to find out from YOU. Your sincerity, personality, and charm must shine through when making a speech. People connect to people who are genuine, not fake. The Cure Public Speaking Fear program emphasizes the importance of making eye contact with individuals in the audience so you can feel the human connection as if they were your NEW friend. Everyone wants to be a part of the conversation, and not come away from your speech as if you did not relate to their needs. The Essential System for Fearless Speaking: Find the Confidence to Step Up to the Microphone And Never Fear Public Speaking Again! Everyone is always looking for a short cut, or an easier way to reduce their time from doing chores and instead, have more free time to have fun. The good news is that by having your very own speaking coach with a lifetime of professional training and experience, you won't waste a lot of valuable time or money learning HOW to Cure Public Speaking Fear. This program makes it easy to learn in a very short amount of time. We know your time is valuable that's why we created the Cure Public Speaking Fear program. Since 1999, people have been discovering the "Secrets of Successful Speech Making For the First Time Presenter" to Overcome their Fear of Public Speaking. After downloading this multi-media home study program, watching the video, and completing the performance workbook, you'll be on your way to fearless public speaking success. I guide you every step of the way! You are definitely not alone. I was suffering the same exact thing. I read books, and I tried herbs to stay relaxed and calm. But they only had minimal results. I hated the feeling of being held back in life. But I did not give up on trying to overcome this fear because I knew I would find a solution. It's better to confront your challenges and fight rather than walk away feeling rejected and frustrated. This is truly the best and most cost-effective public speaking fear product on the market today. The information is easy to understand and simple to apply. It's a personal development and educational training program that really WORKS, and it's guaranteed! The source of anxiety for many people who need to give a speech is the fear of making a mistake.We have a irrational belief that we must be flawless in order to succeed, and what is interesting is that we are the only ones to hold ourselves to that level of perfection. The Cure Public Speaking Fear program effectively helps people to feel secure in front of an audience by encouraging profound speaking change one step at a time. Within just a few short days you can notice a difference in your confidence level. You will begin to realize that you can change. You will smile more and worry less. The program is for individuals who detest speaking in public and avoid presentations for fear of being embarrassed. This quick and easy system will give you the necessary skills and basics to overcome the fear of public speaking with positive results. We help people that experience stomach aches and cramps, butterflies, cold sweats, and sleepless nights. Don't let your fear of public speaking hold you back anymore from career advancements that you deserve. We can help you to get over your fear by giving you confidence to stand in front of a group and deliver your speech. This system has successfully enhanced the quality of life of hundreds and thousands of public speaking fear sufferers around the world. For more than a decade I developed this system through various analytical methods, including textual, historical, descriptive, and performance critiques, as we examined and studied the symptoms that people experienced when suffering from fear of public speaking. The goal was to create the fastest and most effective change techniques which can be taught, learned, and implemented with successful fearless public speaking results. "Thanks to you my anxiety is gone and I am now getting 4.0 (straight A's) on my presentations. In just a few short days of reading, watching, and applying your techniques, I was able to relax and give my college presentations with confidence." "Dear Scott, thanks for creating such an amazing public speaking system. As a college student I take many tests and give what feels like an endless amount of presentations in front of the classroom. Before I found your course my hands would sweat, I was trembling, and unable to focus on my delivery. Struggling with stage fright has not been a great experience. As I'm sure you know, the cost of college tuition is very expensive so it was very important for me to find an inexpensive yet effective way to resolve my fear and public speaking challenges. Thanks to you my anxiety is gone and I am now getting 4.0 (straight A's) on my presentations. In just a few short days of reading, watching, and applying your techniques, I was able to relax and give my college presentations with confidence. You are truly magical and one of a kind. Thanks for holding my hand and taking me step-by-step through your program!" "Your program felt like a laser beam of white light and information. I applied your methods and felt calm, assured, and ready to speak. I no longer suffer from shortness of breath, pounding heart, or dry mouth." "I did it! I practiced your visualization and vocalization exercises and it really worked!" "Dear Scott, I did it! I practiced your visualization and vocalization exercises and it really worked! Thanks to your program it has been much easier for me to give my presentations without freezing up. I never thought I could overcome my fear of public speaking, and I've become a more positive person as a result. I feel great. Relaxed, centered, and focused. I use to fumble and forget what I was going to say. Your course is filled with tips and secrets that only a trained professional like yourself would be able to communicate effectively with the lay person. Right on! Thanks again for all of your help- it's been a great learning experience that I will practice forever." 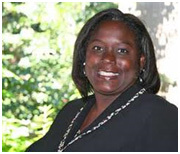 "I was recently asked to give a sales presentation and thanks to you, the speech went well! I felt confident, happy, and not nervous for the first time EVER..."
"Hi Scott, thanks for changing my life. Your program was extremely helpful. I liked the fact that within a few days I was able to apply your methods and techniques to my stage fright. I was very anxious and frustrated and was unable to find a solution to my fear of public speaking for quite some time. In my country we are told at an early age not to stand out and conformity is more the norm. As a merchant account professional I make a lot of cold calls and it's important for me to relax and be myself. I was recently asked to give a sales presentation and thanks to you, the speech went well! I felt confident, happy, and not nervous for the first time EVER. I repeated what you taught me, breathed, visualized, and delivered my well prepared speech. You have a very special gift for teaching others and words cannot express how happy I am to have discovered your program. Thanks again for changing my life!" 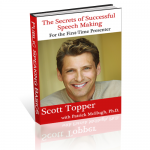 The Secrets of Successful Speech Making for the First Time Presenter Downloadable eBook by Scott Topper with Patrick McHugh, Ph.D. This is a must read book. Stage fright, also known as public-speaking anxiety, or performance anxiety, is the number-one fear among adults. This practical, self-help manuscript for young people and adults provides readers with the tools and strategies necessary to becoming a better presenter. Sharpen your skills, increase your confidence, and improve your performance. 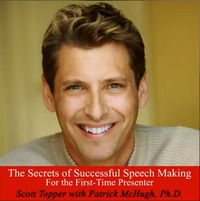 The Secrets of Successful Speech Making for the First Time Presenter Audiobook MP3 by Scott Topper with Patrick McHugh, Ph.D.
No time to sit down and read? Learn the tools and strategies necessary to becoming a better presenter. Sharpen your skills, increase your confidence, and improve your performance during commuting time. This bestselling book is narrated by the author, three-time Emmy-nominated television show host Scott Topper. He provides a compelling narrative as he describes the secrets of successful speech making for the first-time presenter. The MP3 AudioBook download has an approximate narration time of Three Hours and Twenty Four minutes. Great for students, professionals, and business people! Many people tremble at the thought of speaking in public. This invaluable, self-help book about public-speaking basics is filled with practical information, examples, and exercises to counter those fears. Not only does it aim to inspire and educate, but it will also provide you with the specific skills you need to resolve successfully your own public-speaking challenges. This book is filled with helpful tips and suggestions to help you become a better presenter. Some of the subjects you'll learn include: choosing your audience and your location, challenging yourself to overcome your fear of public speaking, relaxation and vocal preparation techniques, increasing your confidence, non-verbal communication tools, and food choices that effect overall quality of your presentation. Whether your goal is to motivate people to action or simply share a good story, "Public-Speaking Basics" will give you the tools and knowledge you'll need to confidently connect with your audience and deliver your important message. No time to sit down and read? Achieve your goal of becoming a better presenter by learning powerful public-speaking techniques and vocal warm-up exercises that encourage physical and mental relaxation during your commute to work. In any profession, one of the best indicators of success is how often an individual is asked to speak. Higher salaries are usually awarded to those who are asked to deliver compelling speeches more frequently. Isn't it worth investing time toward improving your public-speaking skills? 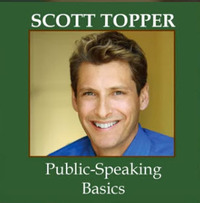 This bestselling book is narrated by the author, three-time Emmy-nominated television show host Scott Topper. He provides a compelling narrative as he describes the basics of public-speaking. The audiobook has an approximate running time of fifty three minutes. Great for students, professionals, and business people! Looking for more personal service? I am here for you. No question is too simple or too complicated. By learning from an experienced public speaking fear coach, you’ll be able to quickly and easily implement the changes you’ll need to make when preparing for your speech. I know that sometimes it is hard for some people to ask for professional help. You may worry that seeking help for public speaking fear shows a weakness or failure to handle one’s own problems. Some people may also discount the importance of seeking support because of a strong sense of needing to be independent and self-sufficient. I will provide a safe and private environment where you can email me about your concerns for the next twelve weeks. I can provide a helpful, insider's perspective so that you can have a better understanding on how to resolve your public speaking concerns. Seeking professional help is not a weakness. In fact, it shows your willingness to take care yourself and find helpful ways to respond to difficult circumstances. Our email counseling is designed to help you develop healthy ways to understand and respond to the fearless public speaking tools and techniques made available to you within our program. What is the Price Tag to be Completely Free of Public Speaking Fear Forever? Cure Public Speaking Fear is a complete public speaking fear solution loaded with useful tips and techniques that will assist you with every aspect of public speaking. It is by far the easiest program on the market today to help you overcome your fear of public speaking. You’ll be surprised at how quickly you will learn the secrets. You will be up and speaking in front of an audience with confidence in less than 14 days. This training course will help you advance in both the business world and your personal life so that you can deliver a fearless speech with confidence. Many of our methods and techniques have been modified so that you can learn at your own speed and comfort level in the privacy of your home or office. Great for both MAC and PC computers, as well as any hand held mobile devices and smart phones. This is solid knowledge you can use every day at a tremendously discounted cost of only $39.97. When you purchase and download the Cure Public Speaking System, you will receive the 60-minute instructional MP4 format video and the 24-page PDF format performance workbook, plus the following incredible bonuses at no additional cost: 2 helpful e-books and their companion MP3 audiobooks “The Secrets of Successful Speech Making For the First-Time Presenter” and“Public-Speaking Basics,” a Lifetime of Fearless Public Speaking Educational Development Information, and, for a limited time, Confidential Consulting For 12 Weeks With Scott Topper – all for just $39.97. That's a SAVINGS of $20.00 OFF the original price. Once on the download page, you can safely and securely purchase access to the member area to watch the Cure Public Speaking Fear videos and experience the eBooks. Remember, this system will not be offered forever at this special discounted price. Don't miss your opportunity to discover the public speaking secrets from a working professional. Our system has expanded with a global reach, and so has our ability to help you with the specific skills you need to resolve your speaking fear. When you combine our personal, consultative approach with our premiere Cure Public Speaking Fear system- including practical information, examples, and exercises aimed to inspire and educate - you will finally be free to successfully overcome your own public-speaking fear once and forever. The next move is yours. Watch the video and complete the easy to use performance workbook. Enjoy the benefits of learning from an experienced professional. Make a change. Download our system today. I am excited to share with you my Secrets to Fearless and Effective Public Speaking! "In my opinion, your course is far and away the most helpful and practical program…My anxiety has unquestionably gone way down I like knowing that I'm learning from someone who's been where I've been and can relate to my stage fright." "Dear Scott, thanks for showing me how to resolve my stage fright. I've always had a great desire to deliver a triumphant speech but my fear always got the best of me. You've given me the skills and techniques to become a successful presenter and I am forever grateful. In my opinion, your course is far and away the most helpful and practical stage fright program and you can't beat the price and value. I enjoyed reading your bonus e-books too which were well written and loaded with useful information. I travel a lot so I like to watch your video on my mobile device and sometimes I peek at the workbook right before my presentations as a quick review…better safe than sorry. My anxiety has unquestionably gone way down I like knowing that I'm learning from someone who's been where I've been and can relate to my stage fright. You're a great coach, role model, and a wonderful inspiration…keep up the great work!" I have experienced many public speaking fear courses that just didn’t deliver the results I needed to overcome my stage fright. I’ll guide you every step of the way so that you can achieve your speaking goals with success. Don't be afraid to change your life now. This program will make you a confident and fearless presenter...guaranteed! Earning your trust is our main goal. Download and try my program for sixty days. If you are not completely satisfied with the results of this system, for any reason, you will immediately get your money back...guaranteed— no questions asked. Just send me an email for a full, prompt, and courteous 100% refund! We value your feedback and we want to help you to achieve your fearless public speaking goals. We thank you for giving us a try. We are confident that you will love our program. You can safely and easily download the system from home or work with the reassurance of knowing that your order is backed by a 100% Money Back Guarantee. Cure Public Speaking Fear is proud to offer you our extraordinary 60-Day Guarantee. There is no other public speaking fear cure system on the market today that offers so many benefits. You can confidently overcome your fear of speaking in public without any risk because the Cure Public Speaking Fear system is safe, proven, and effective for resolving fear of public speaking. I recognize that this system will not be offered forever at this special discounted price, and that I will SAVE $20.00 OFF the original price. I also realize I have nothing to lose, since you’re generous enough to offer me a 60-Day 100% money-back guarantee if I’m unsatisfied in any way. For more than 12 years we've stood by our principles, earning us a long-standing reputation in the self-help industry for providing high quality educational and instructional public speaking knowledge and materials with the most cost-effective price. We're sure you'll agree with the hundreds of thousands of satisfied fear sufferers around the world who trust the Cure Public Speaking Fear System for helping them to overcome their fear and become better, more confident presenters. This may be the best investment you've ever spent on both your business and yourself. Your success is very important to us. We pride ourselves on delivering excellent results. I would love to hear from you directly as to how we were able to successfully resolve your fear of public speaking. If you would like, we would be happy to share your testimonial with others to read on our website. Your referrals are our highest compliment and we appreciate your effort and time. This is a high value coaching and mentoring program that will teach you how to overcome your fear of public speaking by giving you the right tools and information to succeed. Performer and author of the Cure Public Speaking Fear Program. P.S. We give you "peace of mind" so you can easily understand the information and techniques to successfully walk up to the microphone and deliver a speech with confidence. I am here to help and guide you every step of the way. Our testimonials speak volumes as to the feeling of accomplishment you will experience once you purchase and download our product. P.P.S. You can rest assured that there's no risk in purchasing the Cure Public Speaking Fear system. 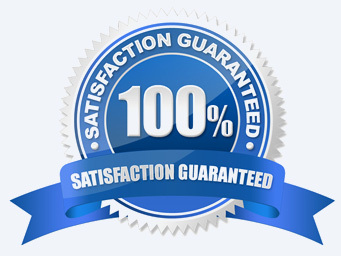 You have a full 60 days to try the program and discover the results for yourself with our 100% Money-Back Satisfaction Guarantee. Don't delay, click on the link and order today! P.P.P.S. This program makes it easy to learn in a very short amount of time. We know your time is valuable that's why we created the Cure Public Speaking Fear program. Since 1999, people have been discovering our "Secrets of Successful Speech Making For the First Time Presenter" to Overcome their Fear of Public Speaking. After downloading this multi-media home study program, watching the video, and completing the performance workbook, you'll be on your way to fearless public speaking success. This is simply the best and most helpful public speaking fear product on the market today. It's a personal development and educational training program that works. Remember, this system will not be offered forever at this special discounted price. Don't miss your opportunity to discover the public speaking secrets from a working professional. This is solid knowledge you can use every day at a tremendously discounted cost of only $39.97. The original College Bookstore price was $59.97. That's a SAVINGS of $20.00 OFF the original price. REMINDER: After purchasing this system, you can download right away to either a PC or a MAC computer, as well as any hand held mobile devices and smart phones. No physical products will be shipped. The Cure Public Speaking Fear Program includes a downloadable MP4 video and a PDF workbook, plus 2 bonus PDF e-books, and 2 bonus MP3 audio books. Additional bonuses include a Lifetime of Fearless Public Speaking Educational Development Information, and, for a limited time, Confidential Consulting For 12 Weeks With Scott Topper.